Send our cheery arrangement to celebrate the winter days. 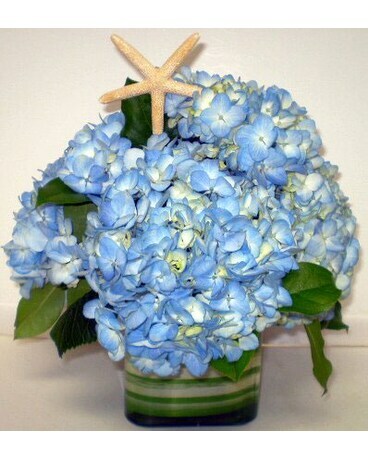 A glass cube is decorated with leaf ribbon and filled with blue hydrangea and a starfish. 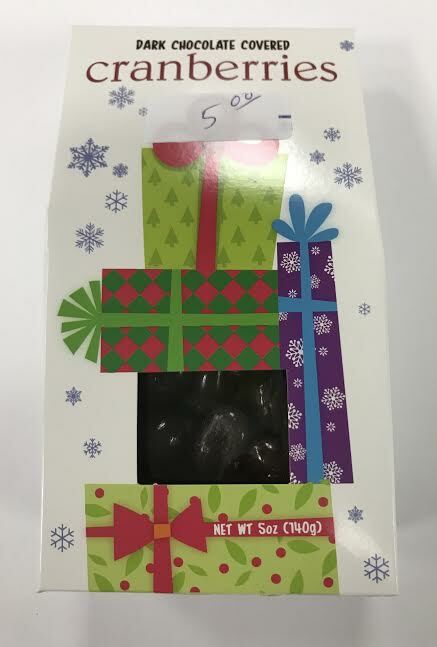 A Falmouth Florist Exclusive.